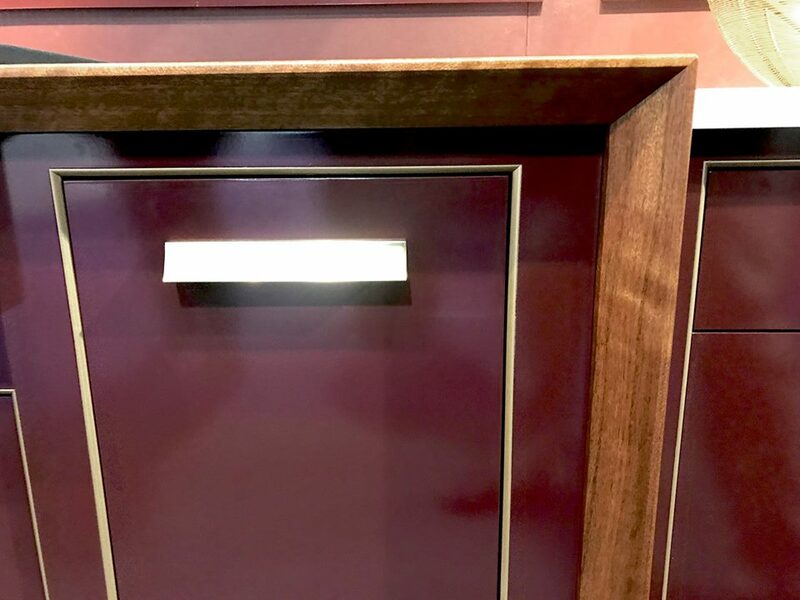 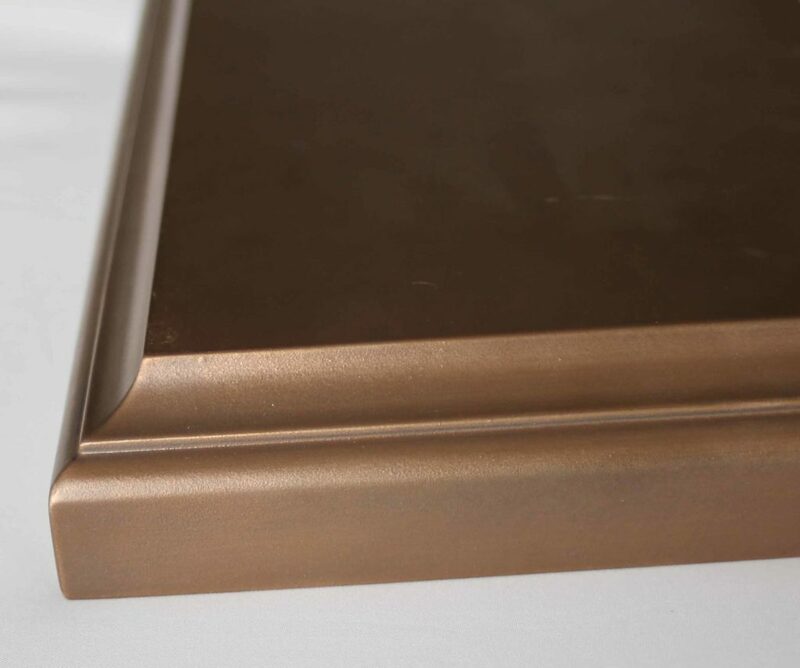 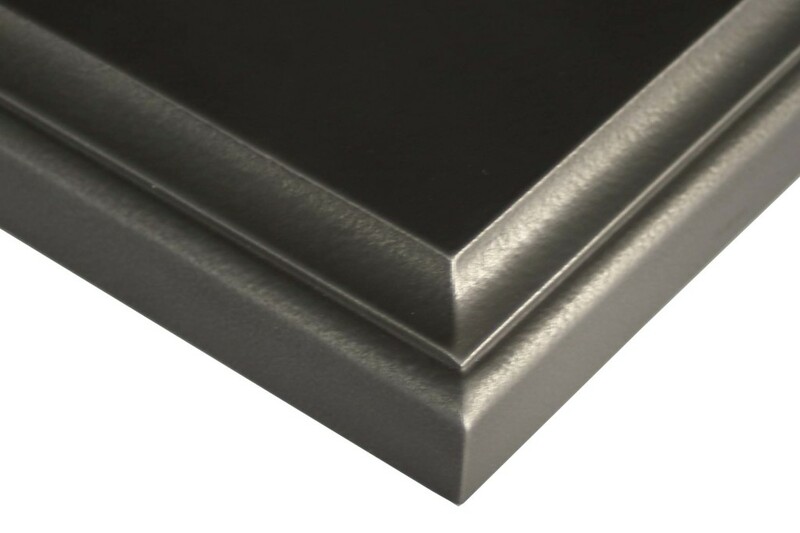 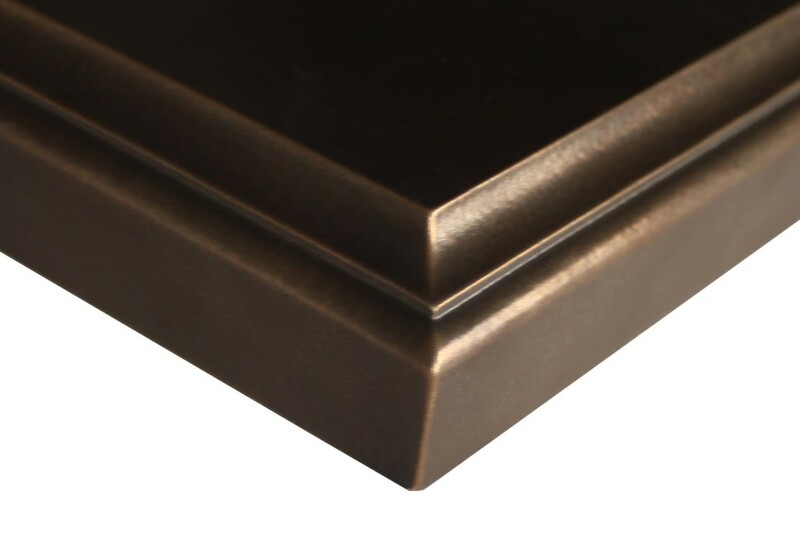 The Anvil™ Exodus finish imitates the look of areal Oil Rubbed Bronze countertops when applied to a wood surface or a composite substrate. 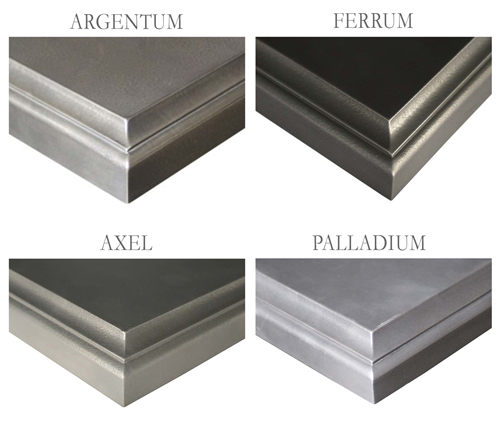 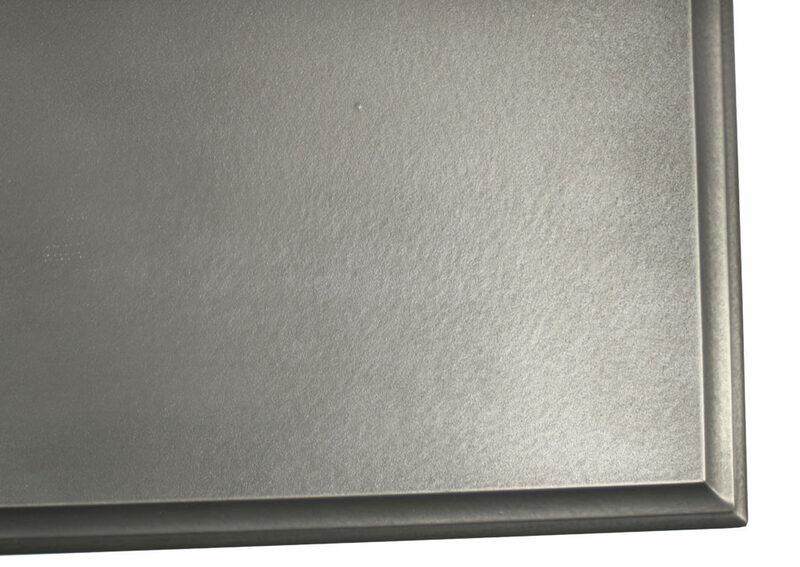 Anvil™ Exodus metal countertops offer a distinct appearance and can be designed to fit any style space. 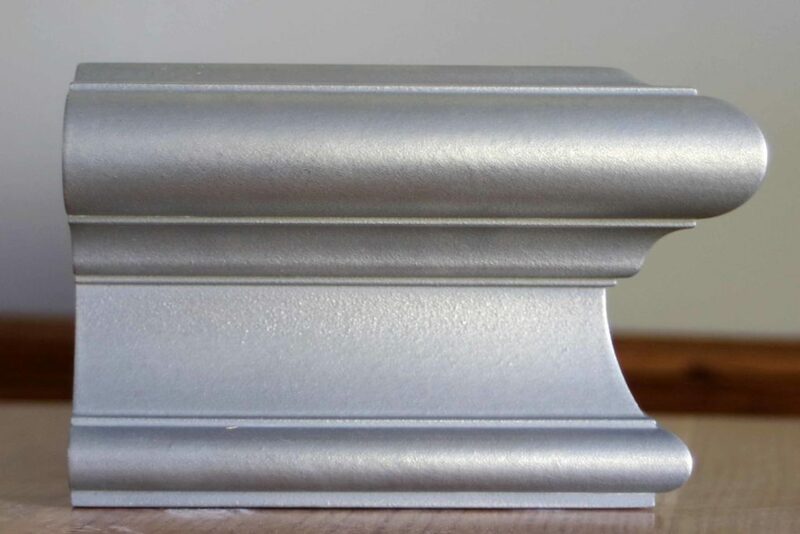 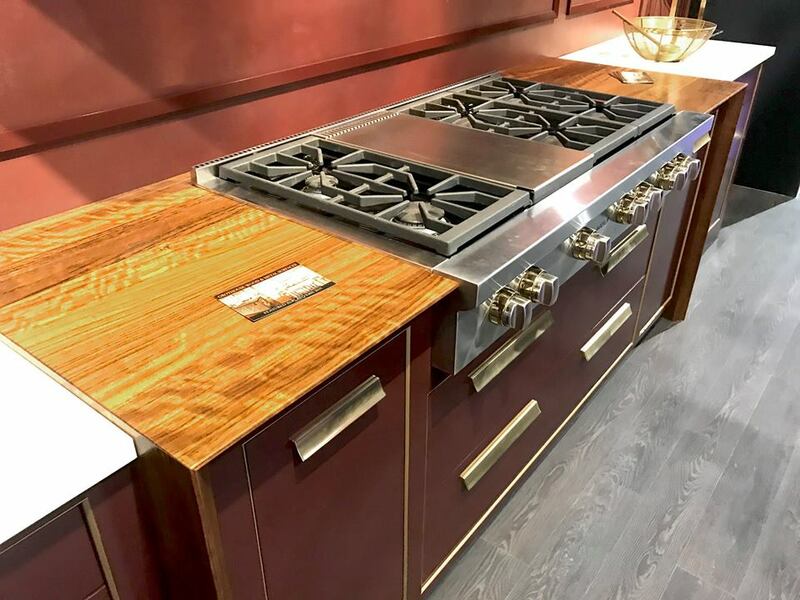 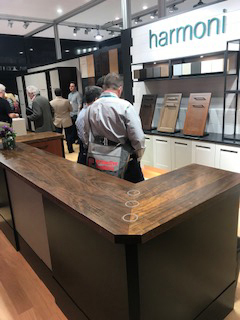 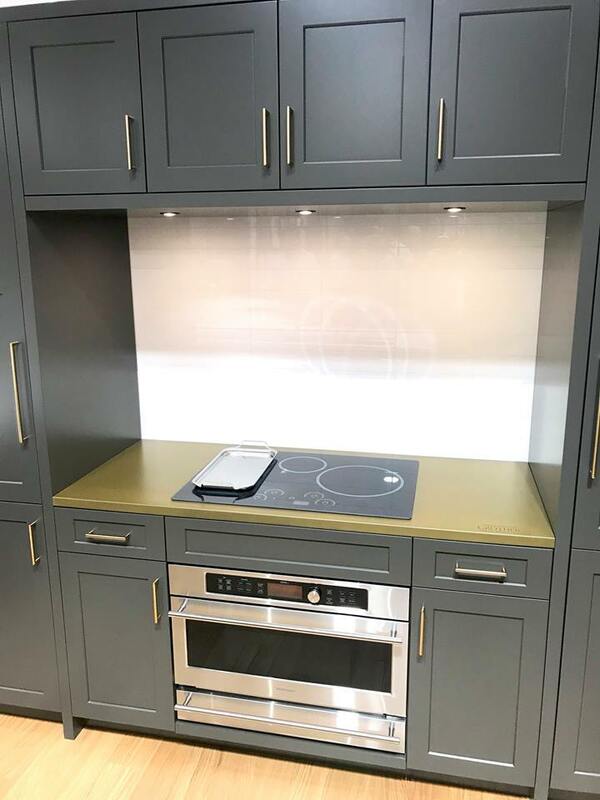 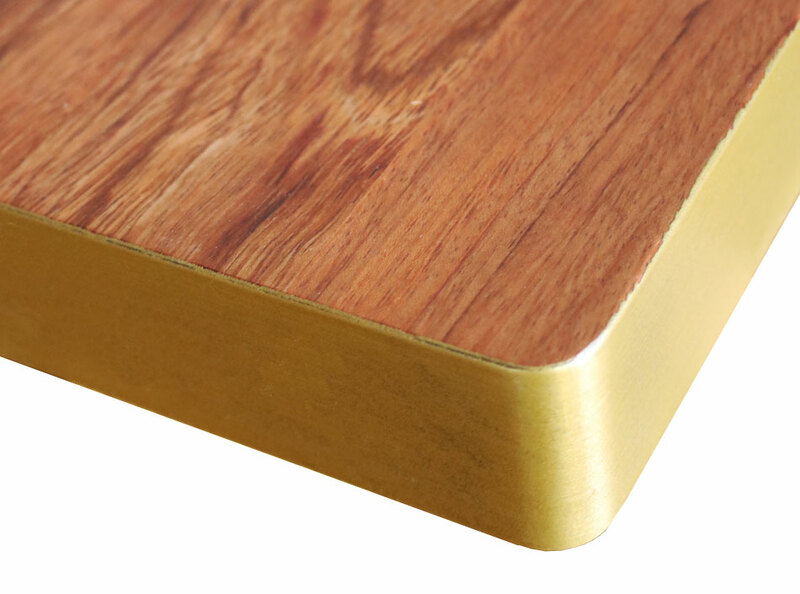 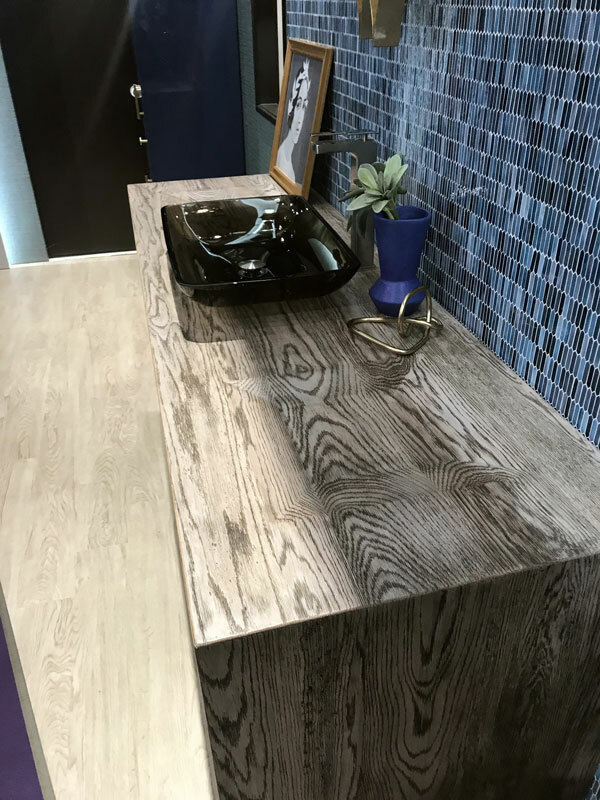 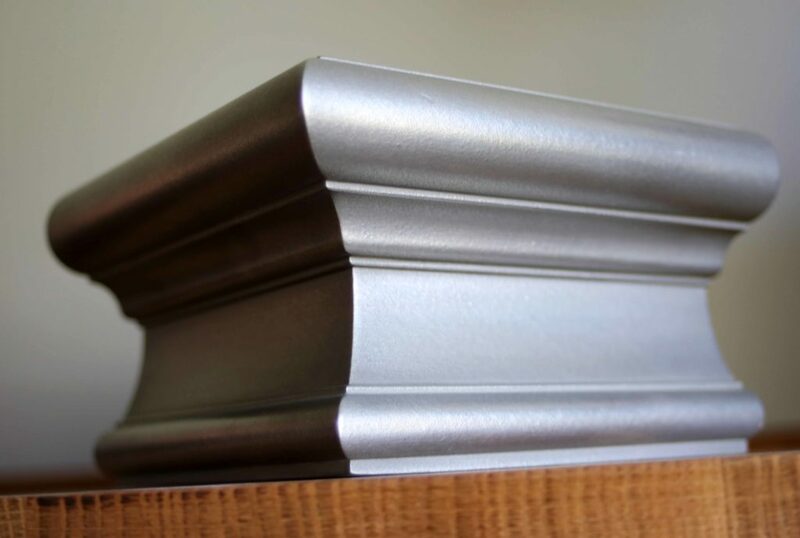 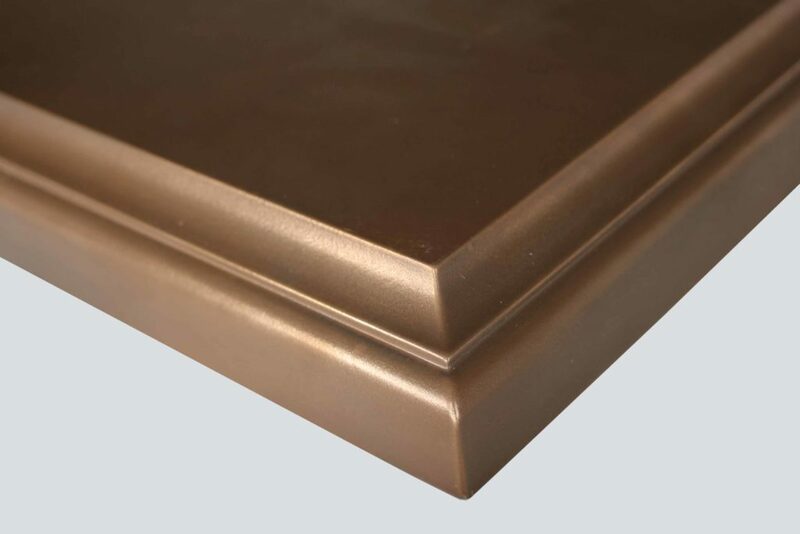 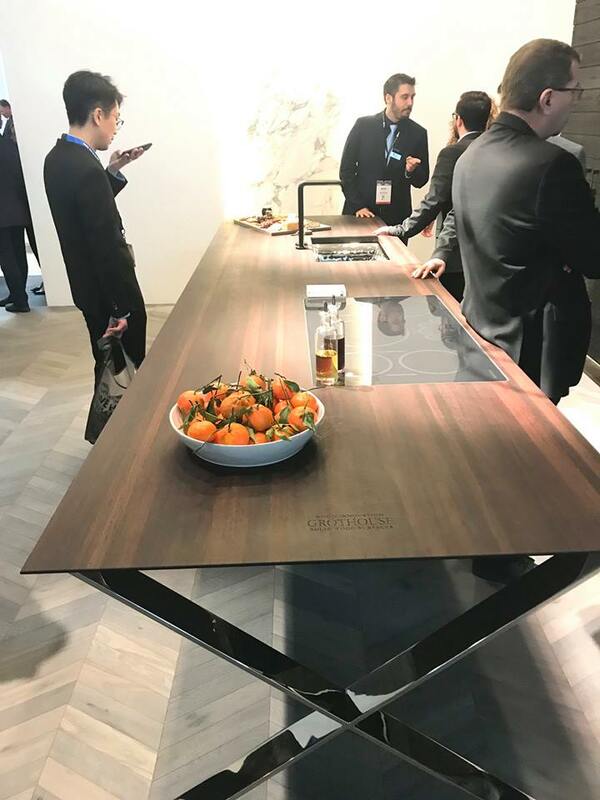 Because the Anvil™ Exodus metal finish is being applied to wood surfaces or composite substrates, Exodus countertops can be designed and crafted for curved and complex applications, unlike real metal countertops. 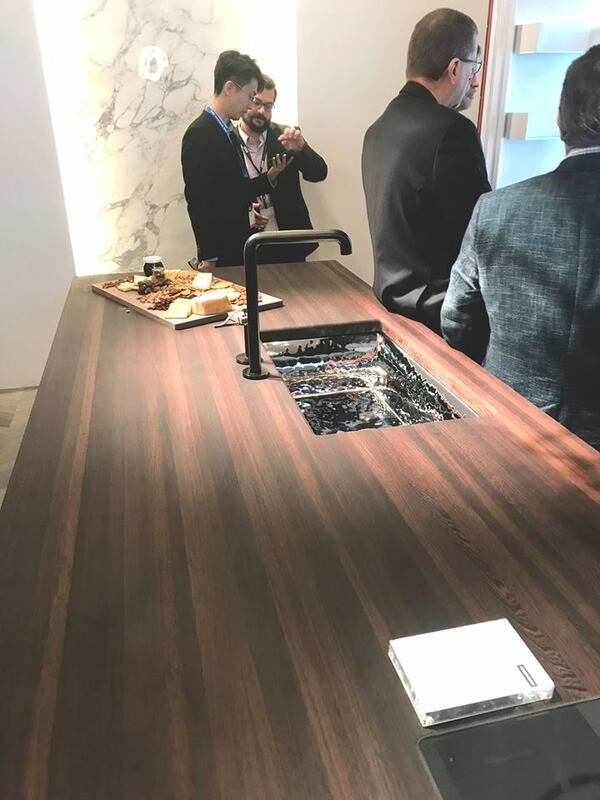 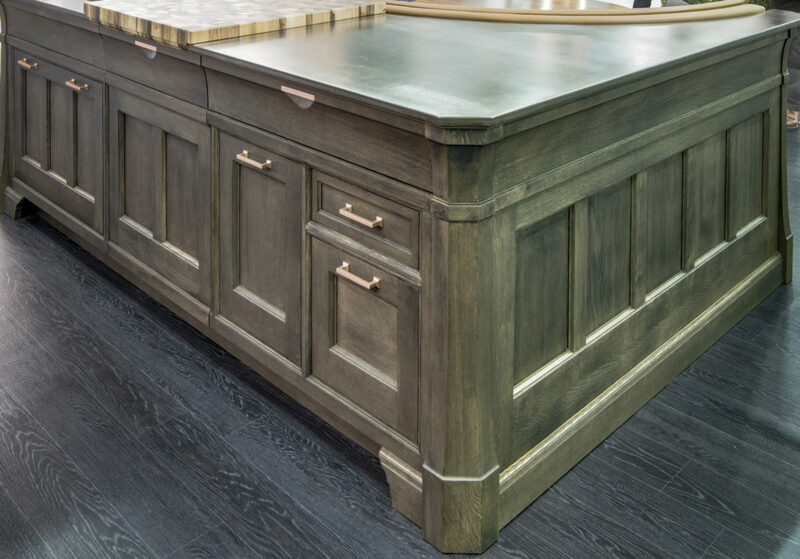 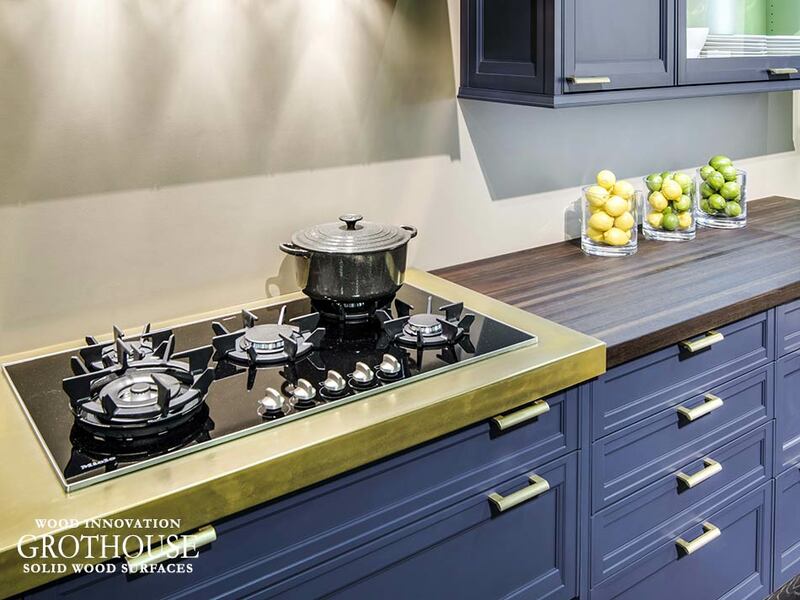 Rutt HandCrafted Cabinetry designed an Exodus Oil Rubbed Bronze countertop for their display at the Architectural Digest Design Show 2016. 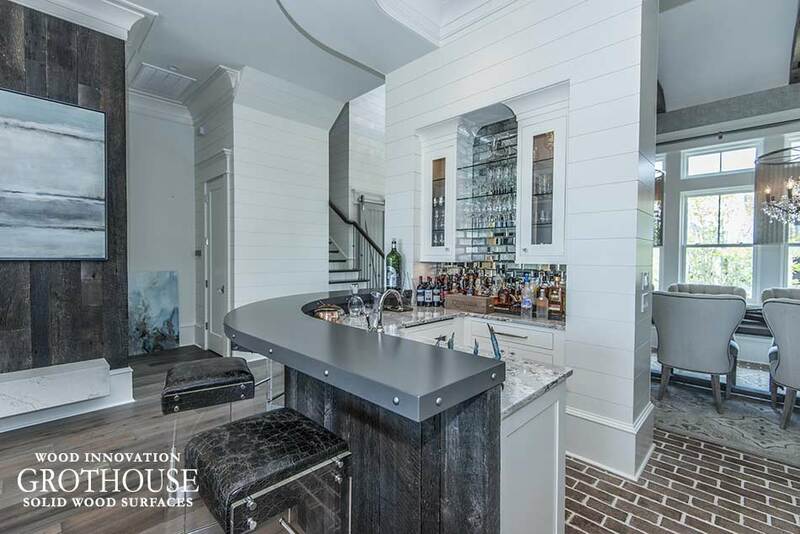 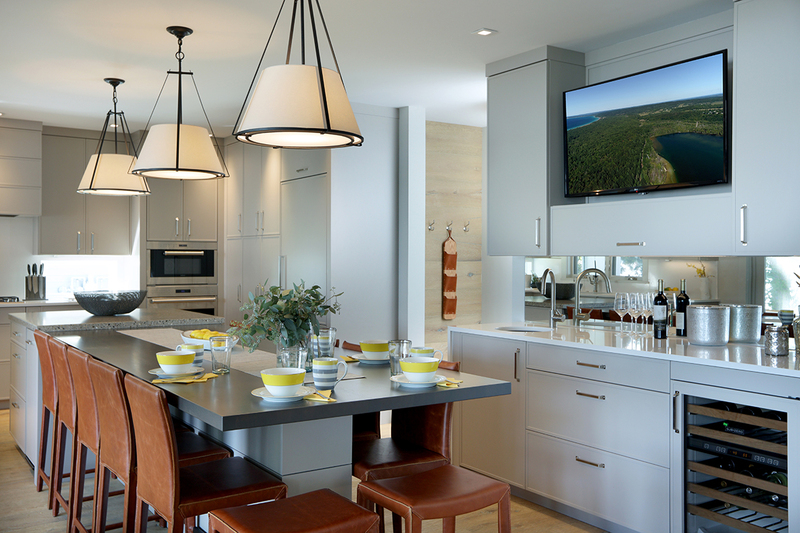 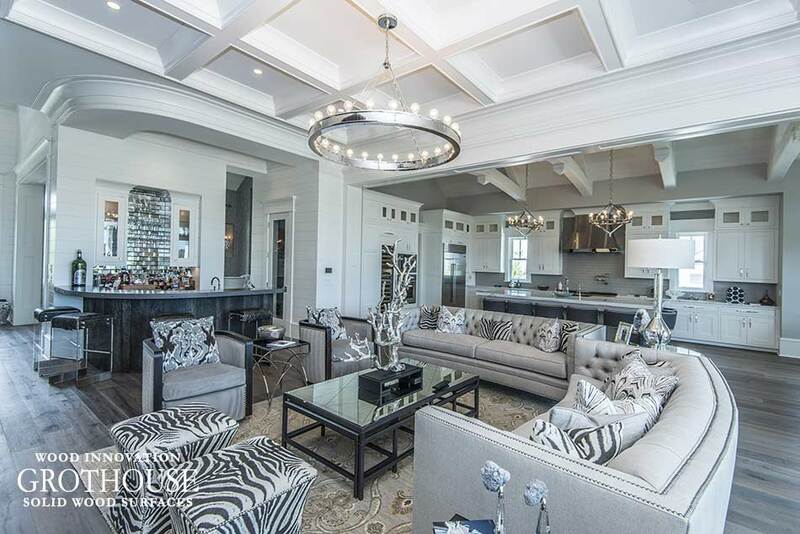 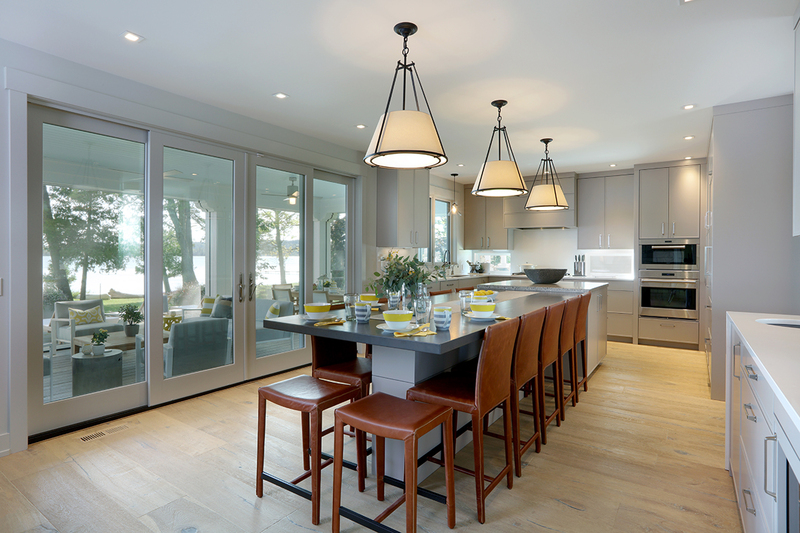 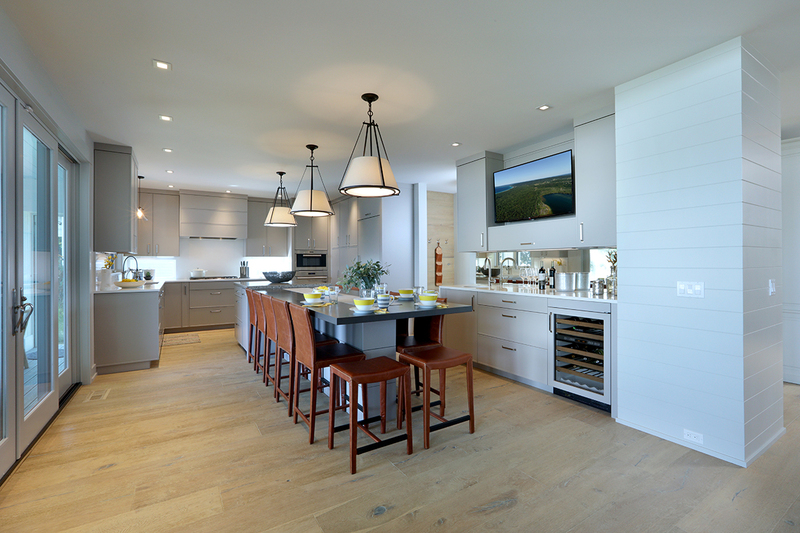 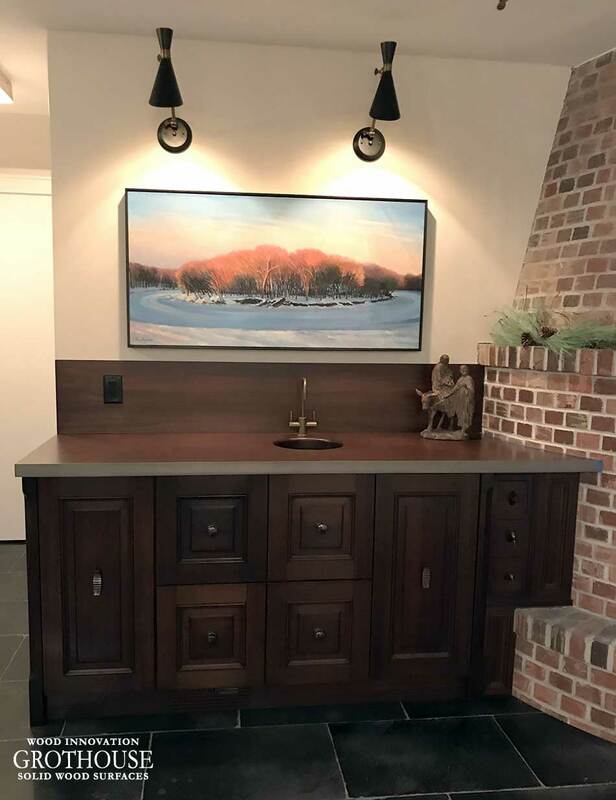 The countertop was crafted for the kitchen island pictured above. 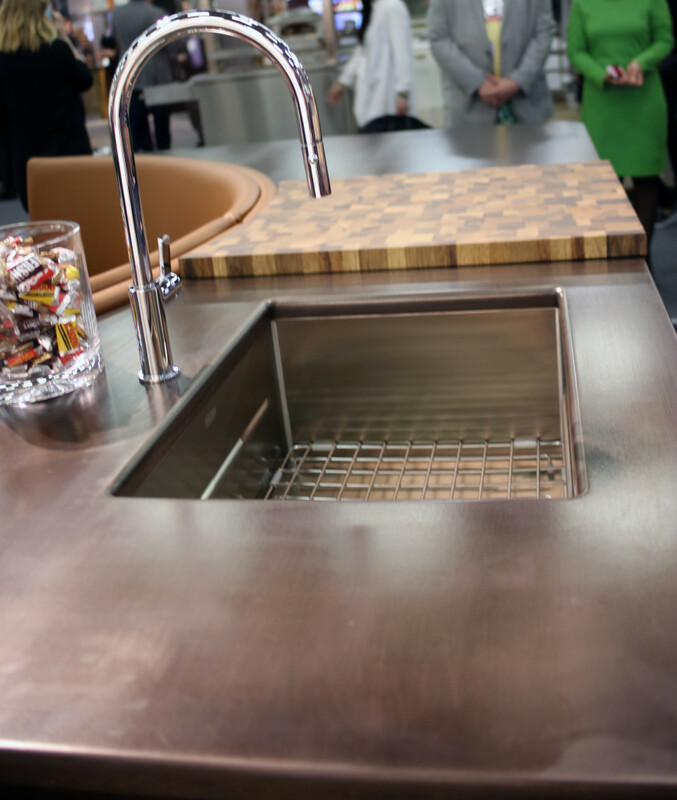 It includes an undermount Franke PKX11021 sink and Franke FF3100 faucet. 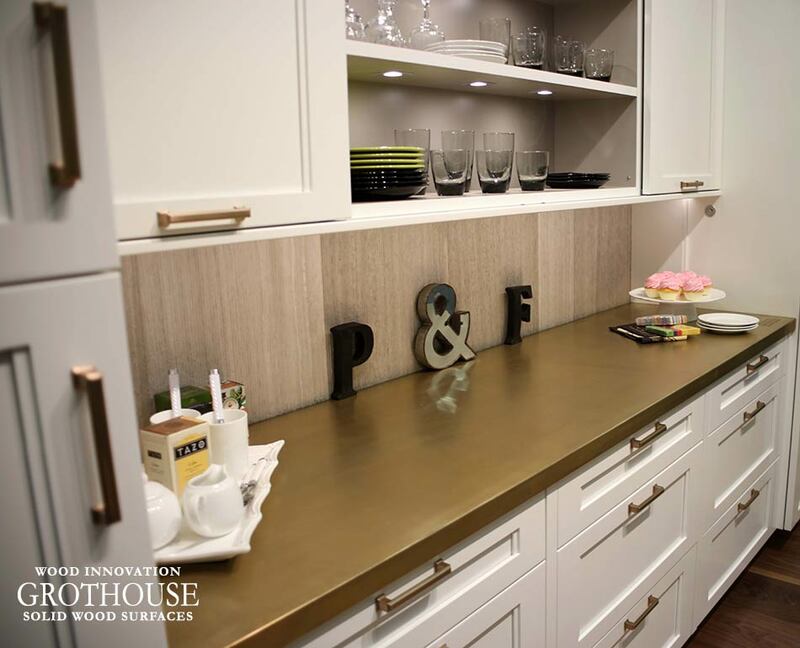 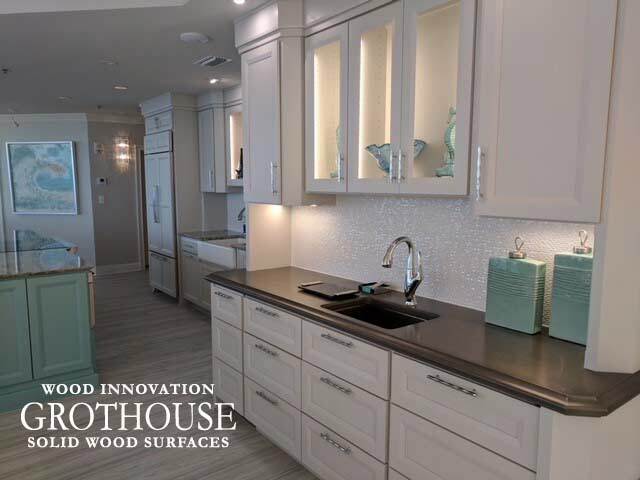 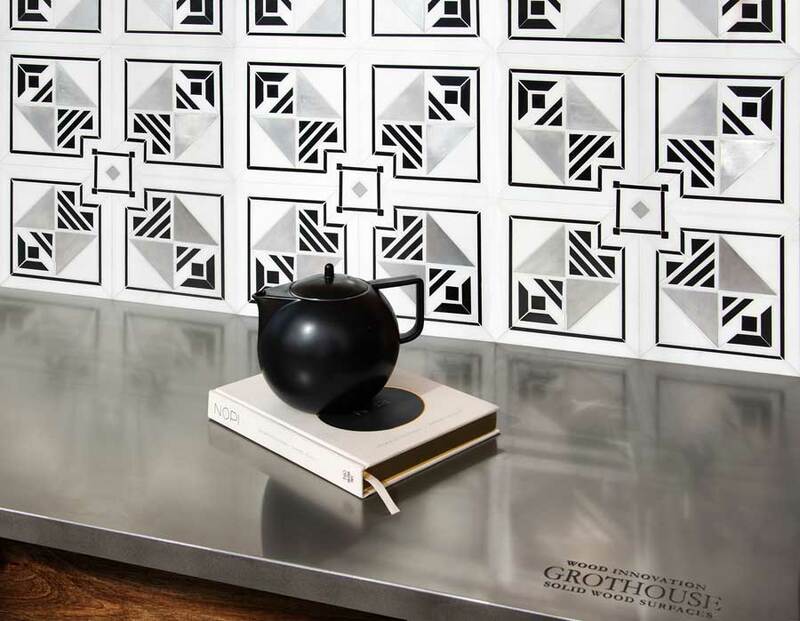 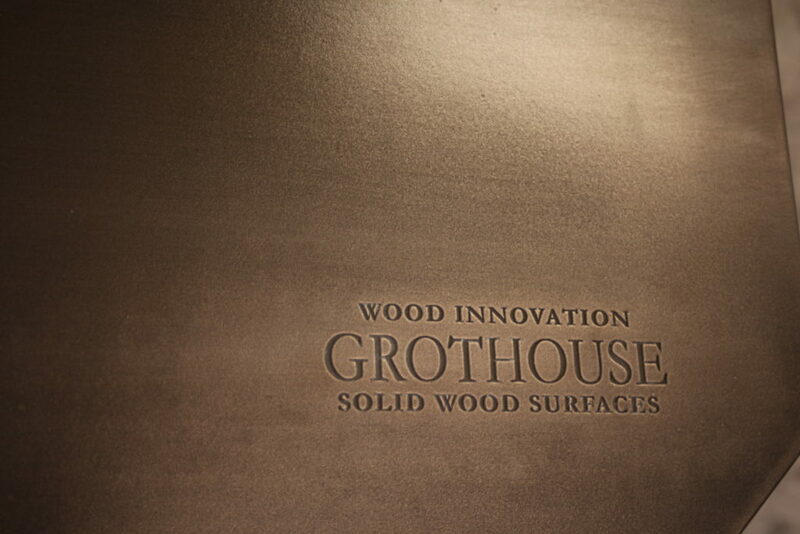 The design included laser engraving of the Grothouse logo in the corner of the countertop. 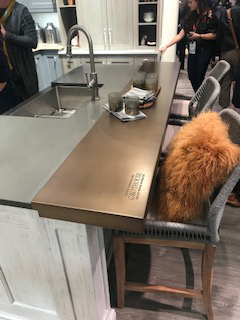 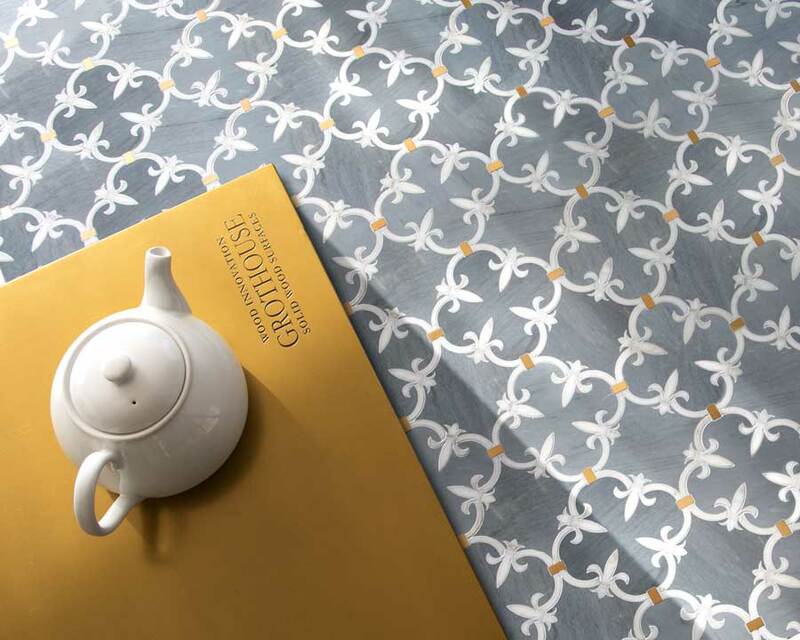 When the Exodus metal finish is applied to a composite substrate, the countertop can be used in exterior spaces like an outdoor kitchen or seating area. 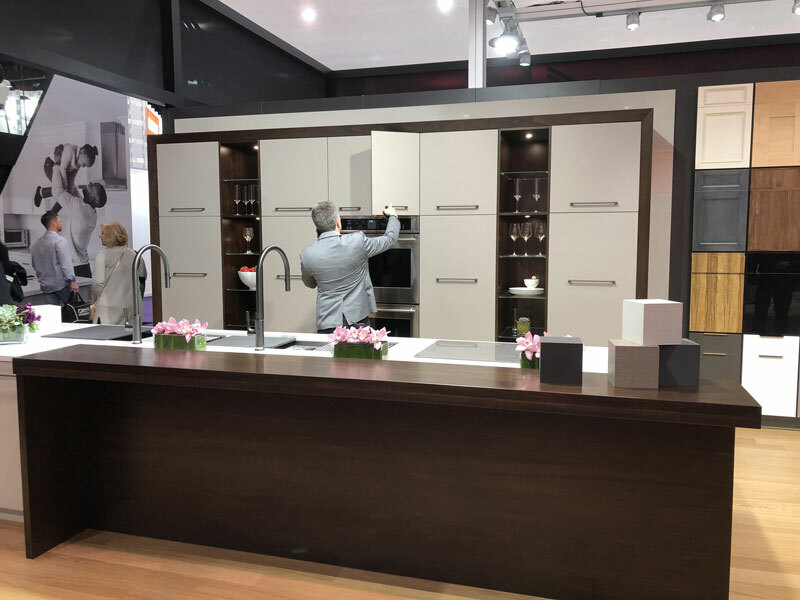 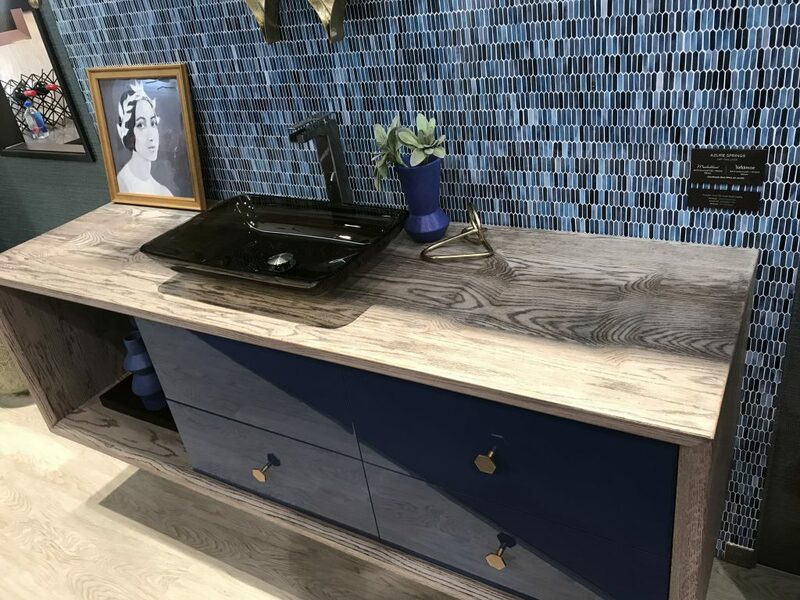 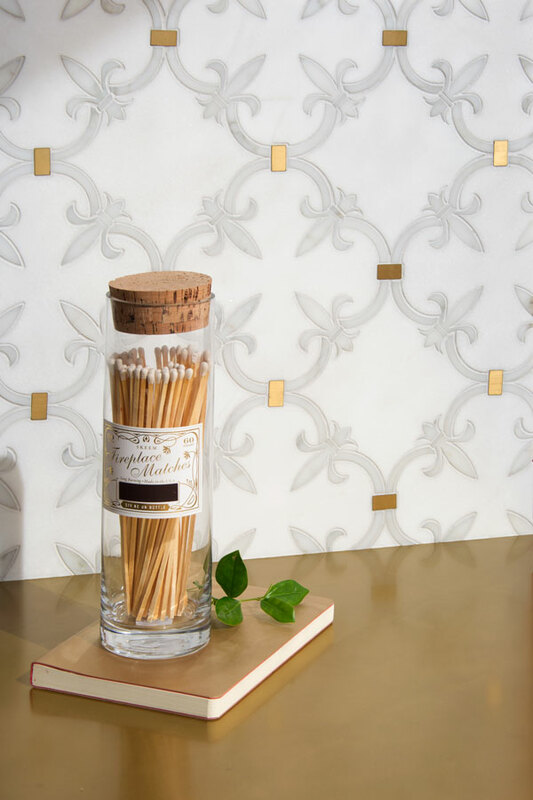 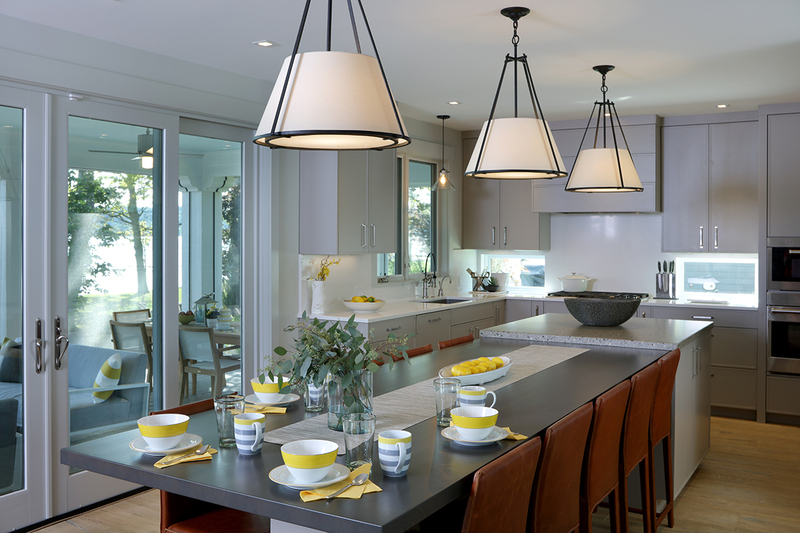 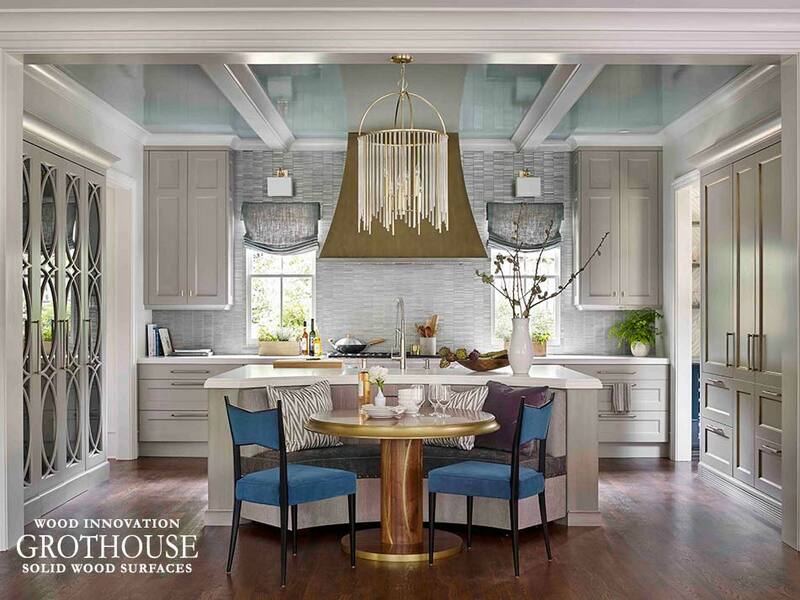 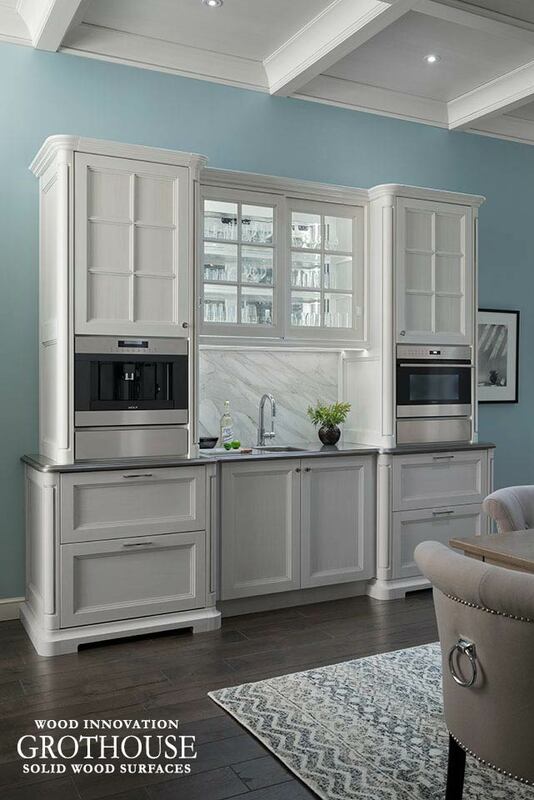 Exodus countertops match an array of decorative cabinet hardware and lighting, making it easy to unify the look of any kitchen or bath design. 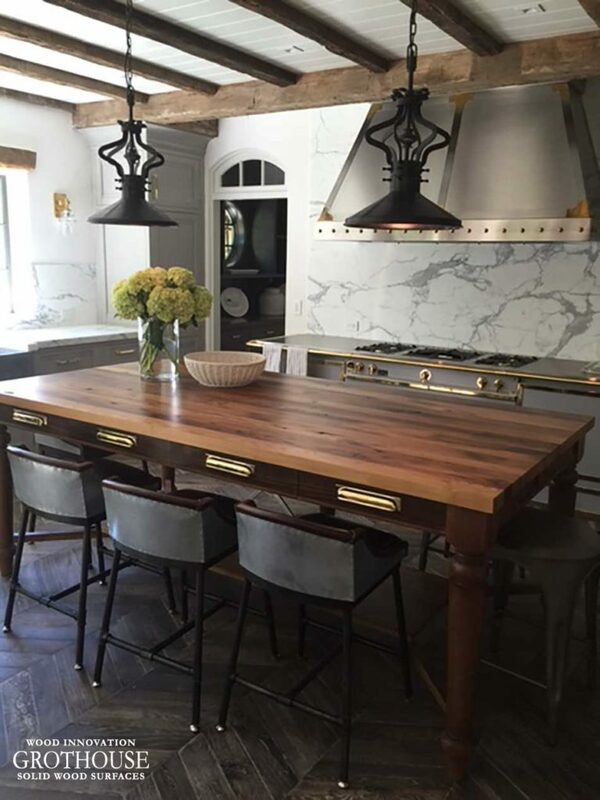 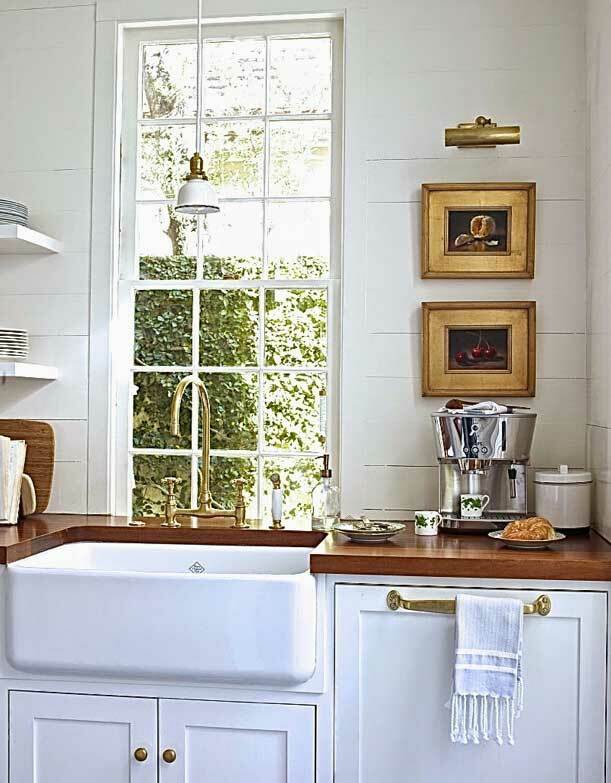 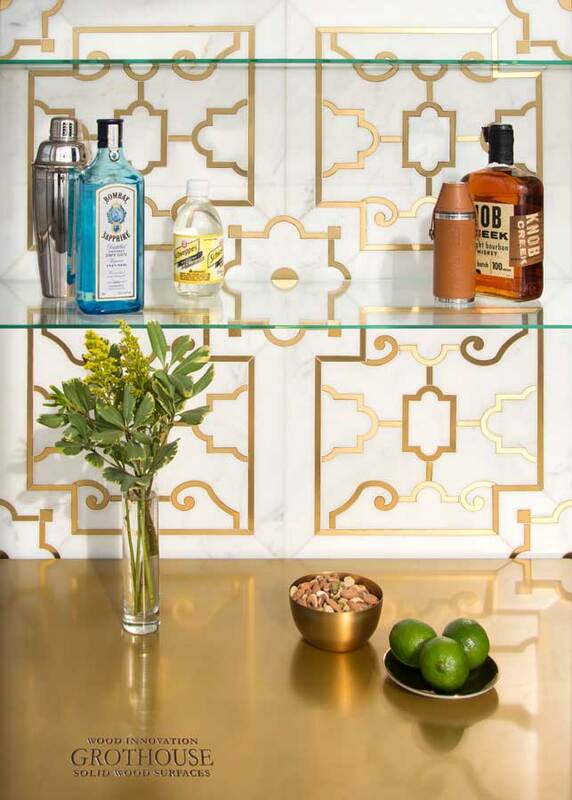 Most designers use Exodus countertops in spaces they want to add old world character. 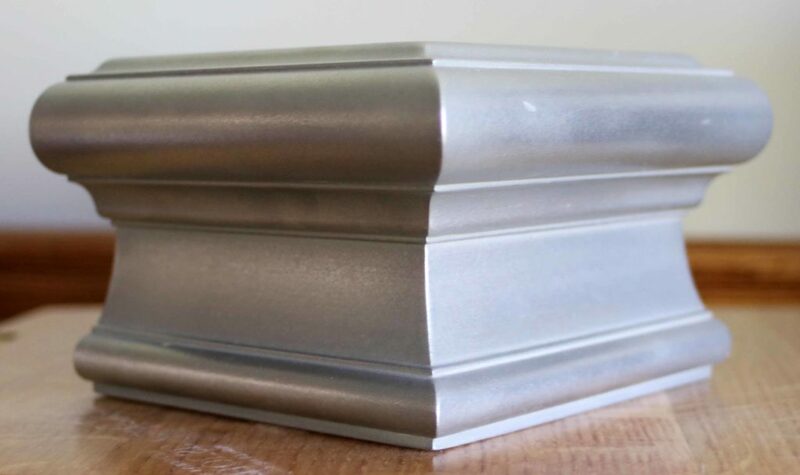 They are perfect for rustic and down-to-earth spaces. 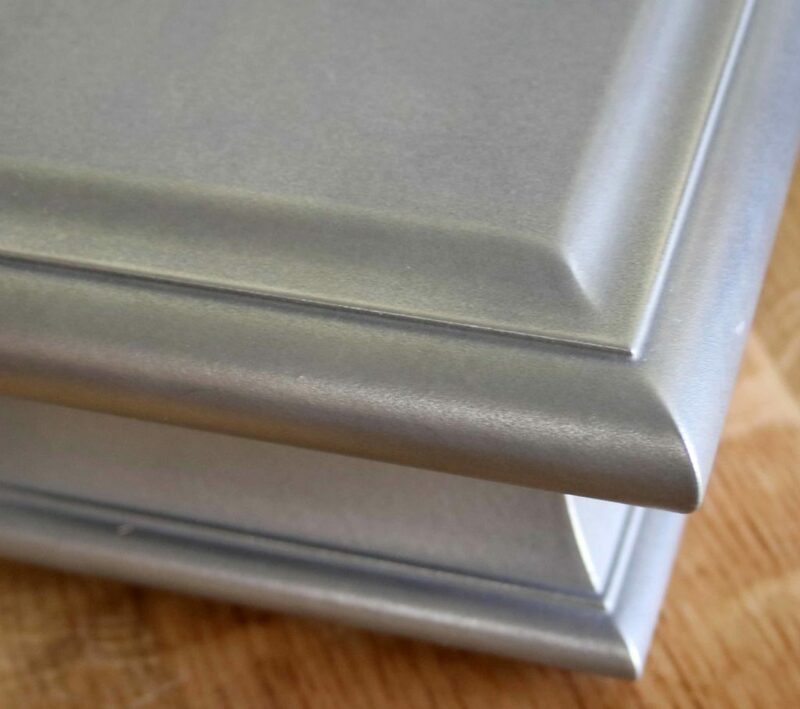 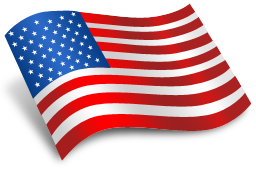 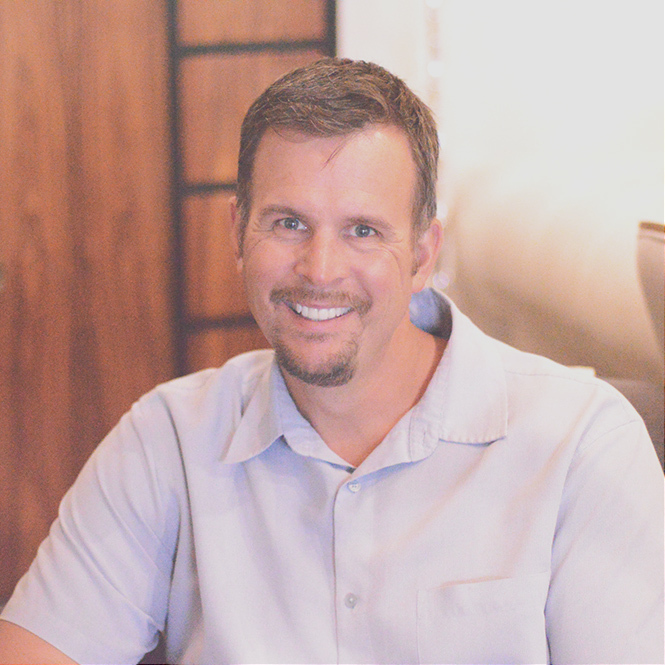 Learn more about metal countertops by visiting this page on our website. 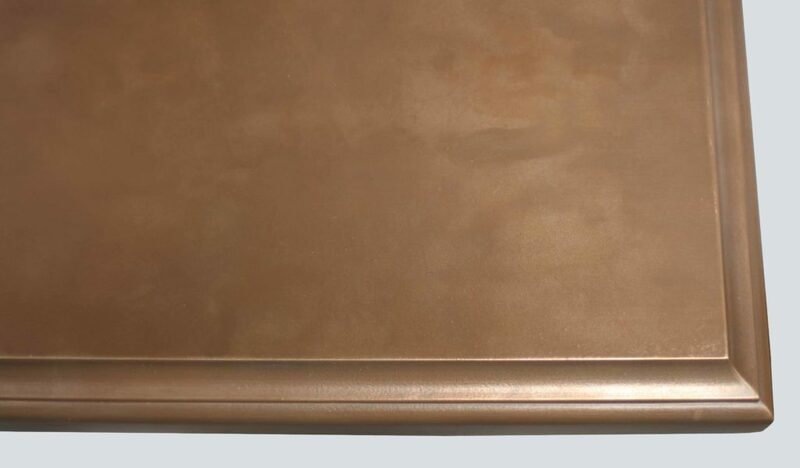 Check out the Countertop Image Library to see more designs including Exodus Oil Rubbed Bronze Countertops.